They’re here! They’re here! Holiday Dessert things! My favorite. We’ve covered breakfast, sides, and entrées so far, and now, it’s onto sweeter territory. I’ve whittled down all the festive dessert recipes on the site to my top 20 favorites. Believe me – it was a task. But it’s a hard job and somebody’s got to do it. (That somebody is luckily me – also the taste tester). We hope you’re celebrating the holidays with people you love and lots of delicious food. Here are a few desserts to make things even sweeter. Cheers and Merry Christmas! So wonderful! What a line-up. These should keep me busy baking this winter. Hope you enjoyed your holiday! 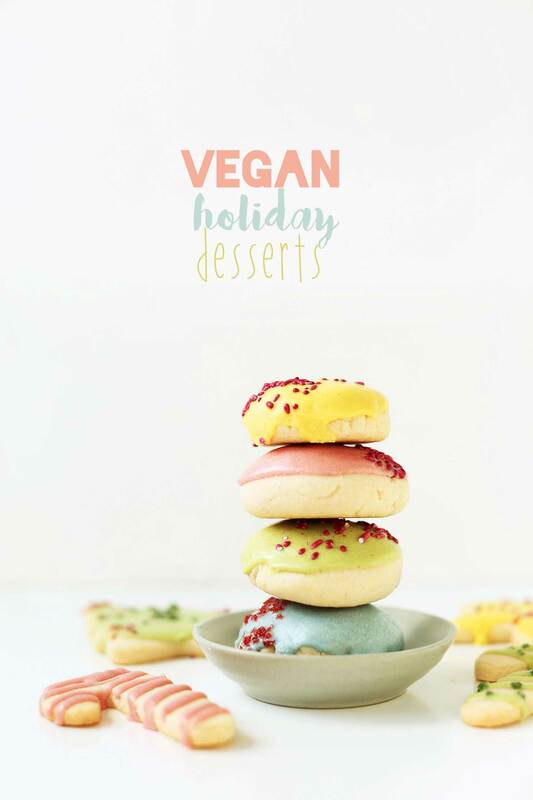 20 easy, vegan holiday dessert recipes . Cookies, cakes, hot chocolate, and more! I’ve whittled down all the festive dessert recipes on the site to my top 20 favorites. Believe me – it was a task. But it’s a hard job and somebody’s got to do it. You’re awesome! Thanks for your recipes!